This is a traditional recipe for vegetarian Lasagna – I have tried to take pictures of every layer laid and details of the fillings – I also made my own homemade sauce – I was very proud of this effort – A $50-60 meal in a semi gourmet restaurant, folks –The recipe here for free so that you may treat your loved ones to a lovely GOURMET Italian meal right in your home … read on. I went with the traditional filling of ricotta and spinach. Cook 1 family pack or 2 small packs of frozen spinach or fresh spinach in the microwave – In a pan, heat 1 tsp of olive oil and add some red chilies (I think I used 3) and about 3 cloves of garlic – sauté until garlic turns golden and add the spinach and some salt and cook on low heat, open. While that is cooking get the ricotta out and if you have the big family carton, you will need half of that or one regular sized container. To this add some crushed black peppers, rosemary and a dash of salt. I also used some pesto powder and some wild garlic mix. Once this is flavorful, add the cooked spinach to it and mix in well. I also like more veggies in my lasagna – So I decided one of my layers will be made up of sautéed zucchini and yellow squash, both very popular in Italian cuisine. Cut them in thin rounds. Just a dash pepper and a tsp of olive oil and a little salt and allow them to brown slightly. The lasagna we got were the kinds that are oven ready and don’t need prior cooking. Barilla sells these. There are probably other brands, but this is the one I used. Now sprinkle the grated cheeses. We had this with the most delicious brussel Sprout stir fry. On your plate – Eat up! This looks and sounds delicious! I am copying the recipe to use when our local vegetables arrive in the next month or so. Thank you for providing a step by step tutorial which is so helpful! wow..looks wonderful..easy to understand the step by step process..i will try it out one day..thanks for sharing.. This just reminded me that its been long since I made this..your looks perfect and delicious..really a good and filling combo of ingredients!YUM! These are awesome instructions and looks wonderful! Wonderful instructions for making veg Lasagna.Thanks for sharing step by step process.Great post. Super duper! God Bless you for patient pics and stepwise demo. Shall let you know how it came out after I try this out. All that wonderful layering and that beautiful lasagna is making me hungry and it's only 8:30AM!!! Can you send some of that deliciousness my way for lunch?????????? wow..looks wonderful..easy to understand the step by step process..
Vegetarian lasagna is one of my favorite foods. Really like your addition of habanero peppers to your sauce to give it an extra little kick! Downright deeeeliiiiiicious!!!! Lasagna is one of my most fav & this awesome pics make me crave for it now Very well explained too!!! Great job Priya..Layers r neatly done!! My lasagna always fall apart once I slice them:-( I am gona try this recipe soon:-) Thank u 4 the step by step clicks!! wow looks so wonderful and delicious !! Lasagna looks amazingly attractive. i can not find words to praise the preparation. Excellent dish. Hi Now Serving, it's so sweet that you still miss home. I vote every time, but I'm sure it's going to be one them that wins. For some strange reason, they always win the election alternatively. So going by that, she is scheduled to win. Even if there are other parties, independents, they either align themselves with the 2 main parties or just lose hope & close shop. You have a wonderful blog btw. The lasagna looks absolutely drool worthy. I love lasagna, one of my favorite dishes but never dared to make it at home I'm come back to check your pictorial and details when I feel confident enough to try it at home! This is one of my favorite meals! I love your step by step photos and that you made homemade sauce I think it makes the dish so much better! Oh this looks so tasty! I love vegetable lasagna, and it's wild how expensive it can be in restaurants, but it's so easy (and very cost efficient) to make it at home. 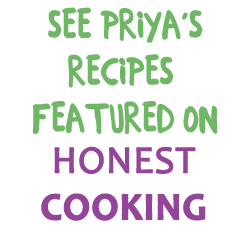 – Especially with a delicious recipe like yours! Yum! thanx for sharing such a creamy dish..looks superb and your step by step teaching goes really gud..
Love the step by step presentation with all the details.. Nice recipe.. Awesome work Priya!! Love the step by step pics. Looks so appetising!!! WOW Priya..this looks amazing..so cheesy so saucy…just delicious…worth all the effort. oh..my.. lasagna, one of my fave, but never tried the veggie version. yours is looking absolutely divine. Hi Priya thanks for visiting my blog and leaving such kind words! This is a fantastic recipe – love the spicy sauce and the step by step tutorial! Wat a wonderful looking lasanga, my daughter's favourite,havnt prepared since a long..thanks for ur stepwise clicks..
Lasagnia looks delicious. Lasagnia and cannelloni are two dishes my whole family loves. Healthy and good way of using lots of varieties of vegetables. making it at home is very cost effective for sure…..even semi homemade is wonderful…..love spinach in my lasagna….looks very tempting! Priya a recipe so well explained and lasagna looks so delicious. I have made lasagna twice and I know the amount of work it involved. I really thin this is a wonderful dish but I rather not work so hard!!:). Kudos to you dear this is and one outstanding post with outstanding pictures. Love it. I just made a zucchini lasagna, I don't think I posted it yet, this looks awesome! I usually post my vegetarian meals on Monday. No idea, just a routine for me. You have some great recipes here, I'll page through and find more to make I'm sure! Thanks!